I’ve been meaning to get back on my bloom day horse this year. This month’s offering is pretty light, but better than last month when there was very little going on. 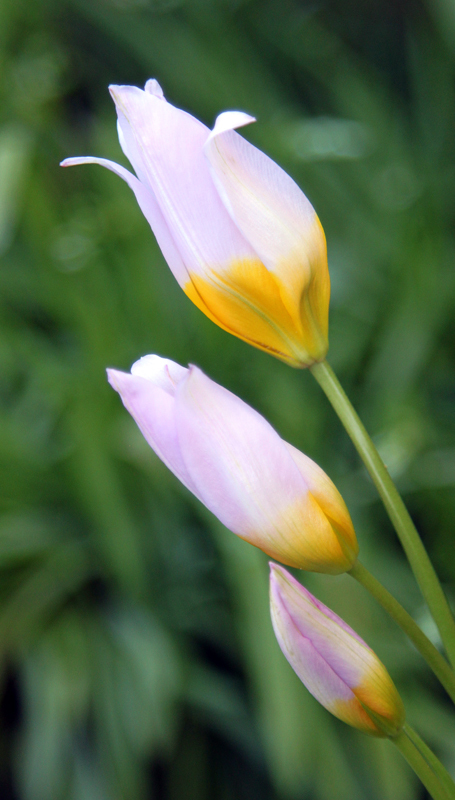 We have a few bulbs in bloom, the species tulips (Tulipa saxatilis) probably being the highlight. 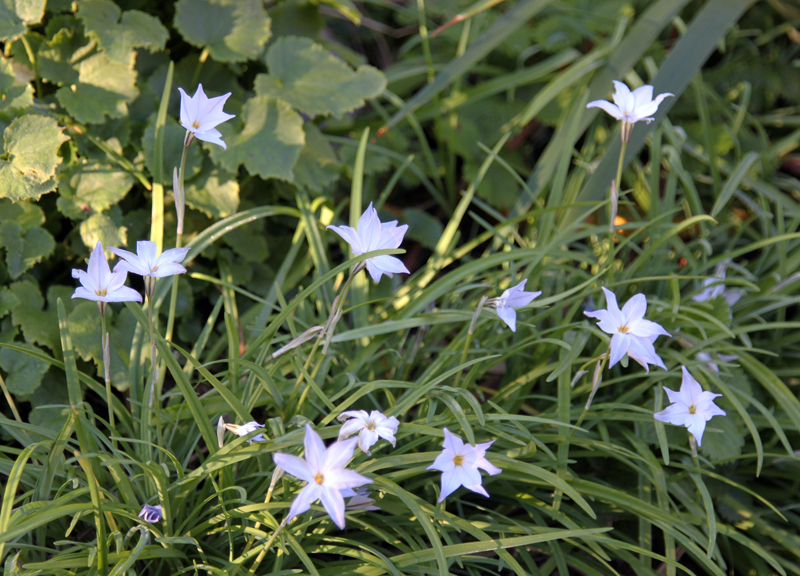 Ipheion uniflorum (Spring Star Flower) is also blooming. I’ve been happy with how they well they’ve come back each year. They’re a relative of our native Brodiea, another bulb that has done well in the garden. 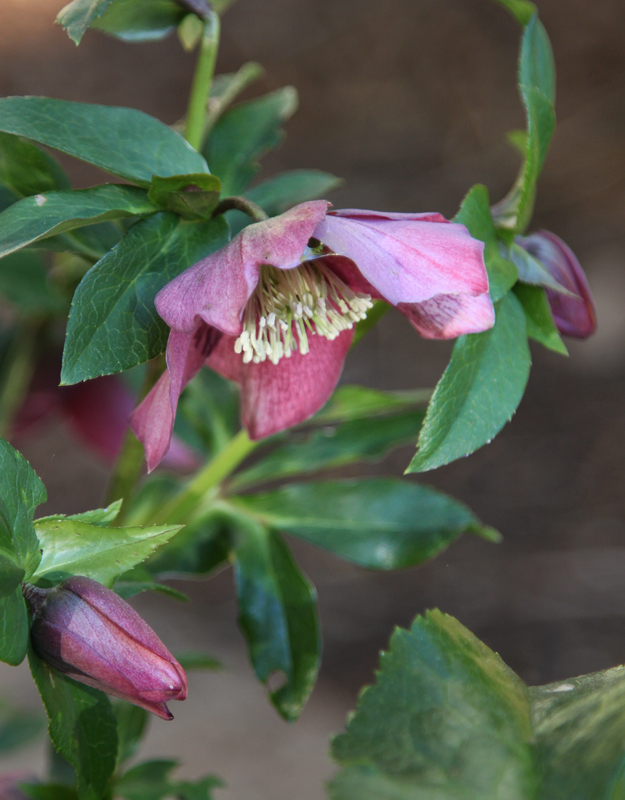 Several Hellebores are blooming. This dark one is my favorite. The Sidalcea grown from seed are starting to bloom. 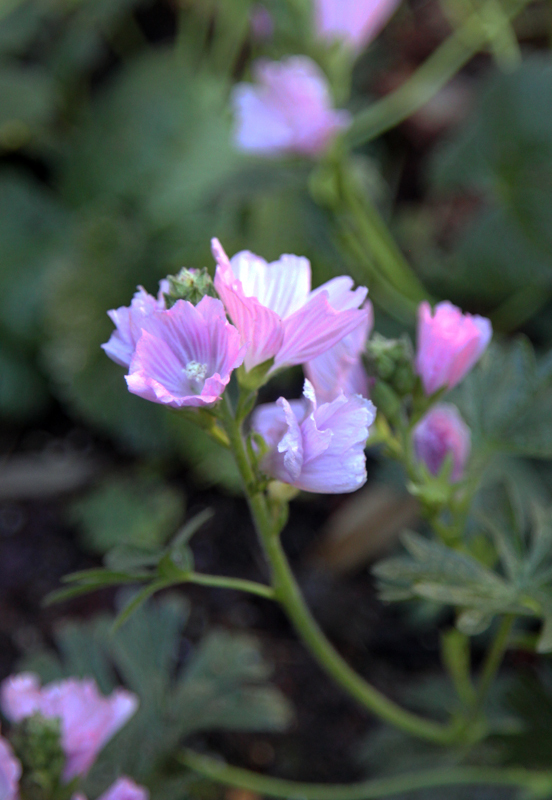 We also have a native cultivar of Sidalcea, but it hasn’t started budding yet. 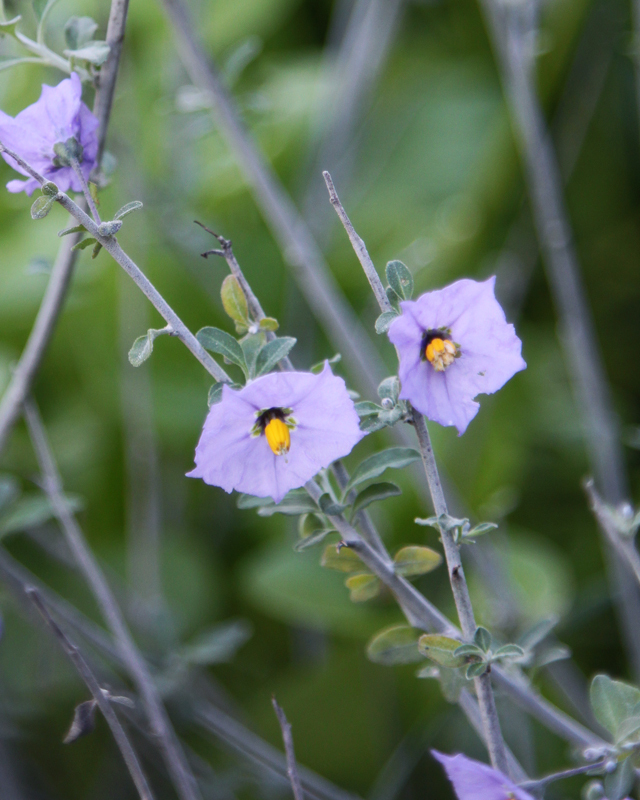 There’s one Solanum umbelliferum ‘Indian’s Grey’ in the garden. It has more flowers than foliage at the moment. This is its second year in the garden, so I haven’t figured out if that is normal for it. 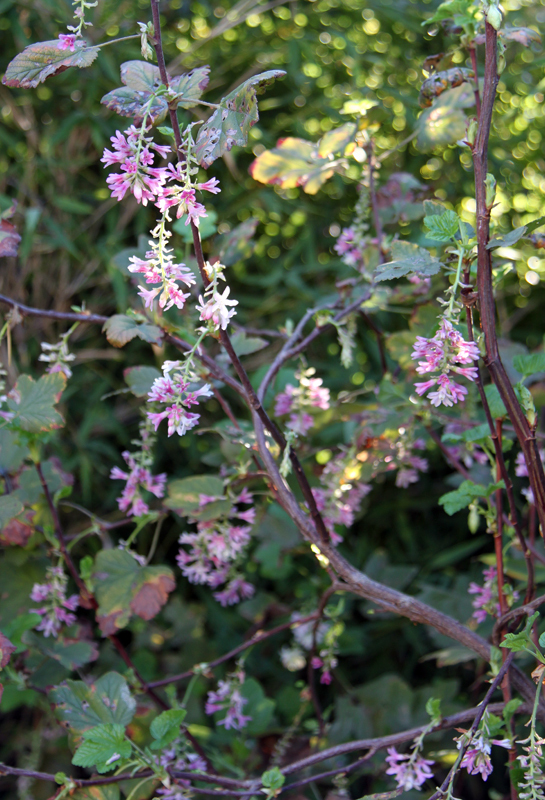 Our Ribes sanguineum used to be ‘White Icicle’ but it has fully reverted to the regular pinkish form. It’s also more upright than it used to be. It was a passalong plant, so I don’t mind. It’s the only ‘White Icicle’ that I’ve seen revert. This winter doesn’t seem to have been cold enough to knock the old leaves off the branches. We have a few other things blooming. Salvia ‘Green Carpet’ has some flowers. Heuchera sanguineum and Geranium ‘Bill Wallis’ are starting up. There are a couple of Freesias and a Daffodil in bloom. Woodland Strawberry, Galvezia, a couple of the Blueberries, and Arctostaphylos ‘Dr Hurd’ each have a few token flowers. The Ninebark is the first of the deciduous plants to begin leafing out; its new green leaves are always as pretty as a flower. For more bloom day posts, check out May Dreams Gardens. Carol says this is the ninth year of bloom day. Really impressive. I’ve always felt that bloom day was the single best thing in the garden blog world. A salute to Carol, and my thanks for keeping it going so long. This entry was posted on Tuesday, February 17th, 2015 at 9:47 pm and is filed under garden bloom day, plants. You can follow any responses to this entry through the RSS 2.0 feed. You can leave a response, or trackback from your own site.